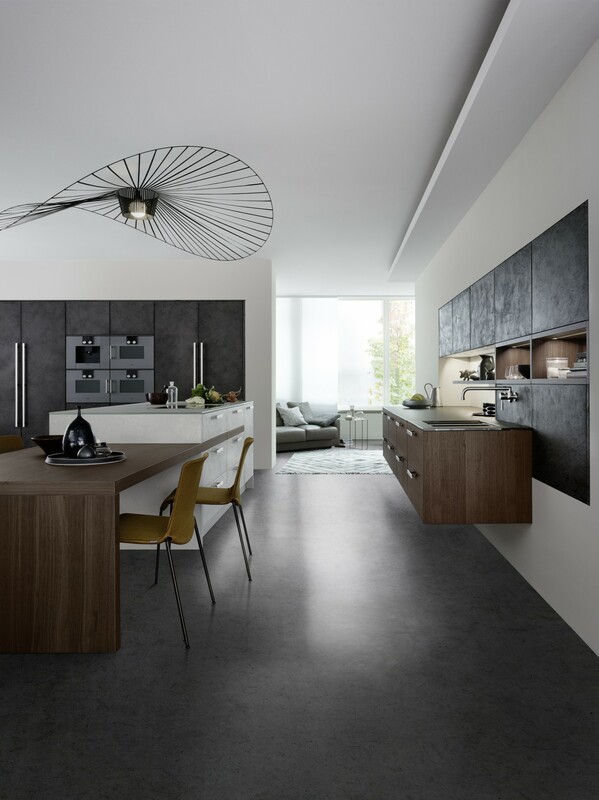 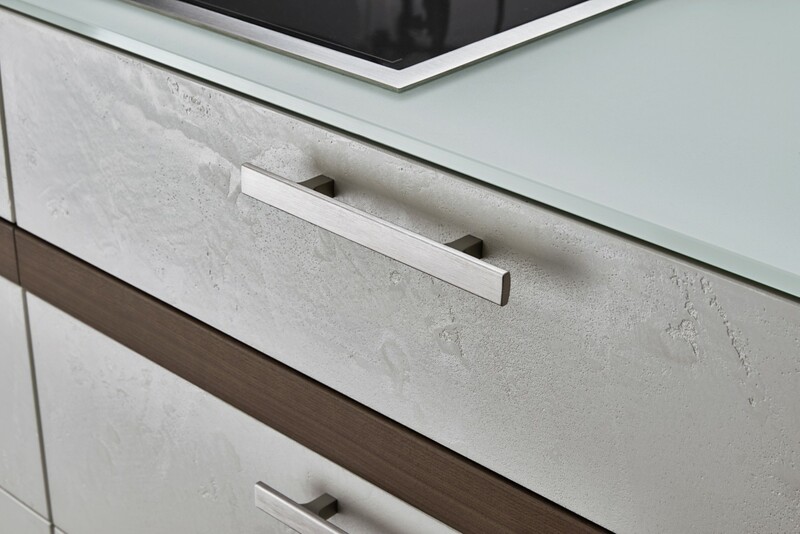 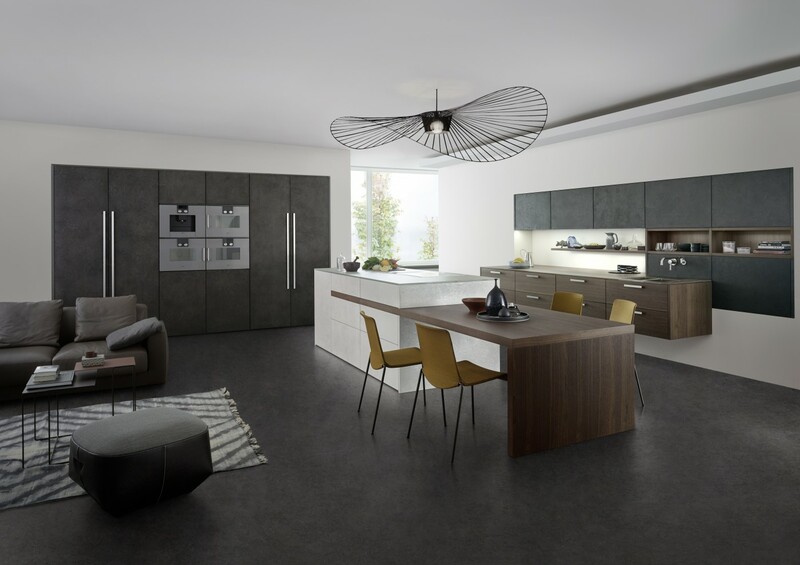 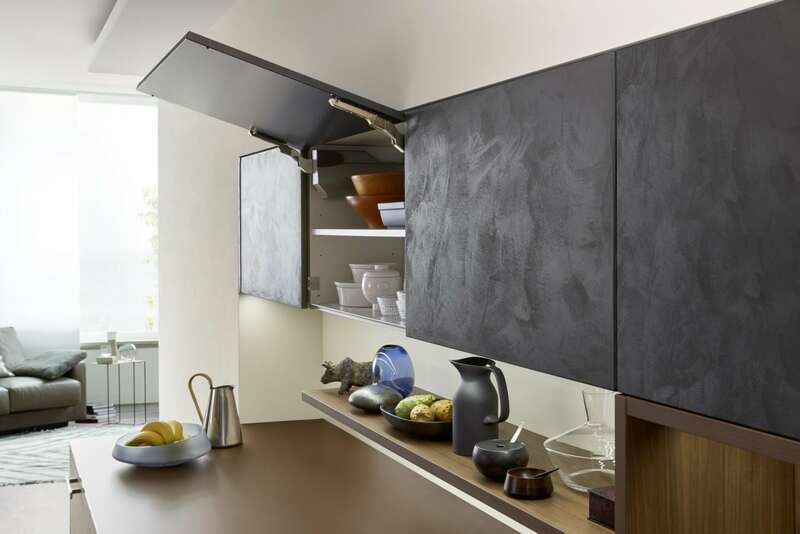 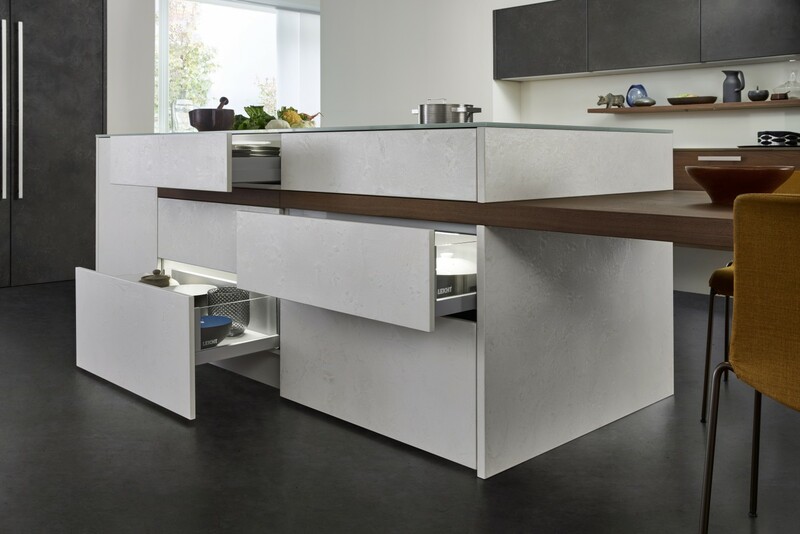 This Leicht Topos Concrete kitchen is characterful and authentic, the concrete finish has a finely textured finish which has been applied with great skill. 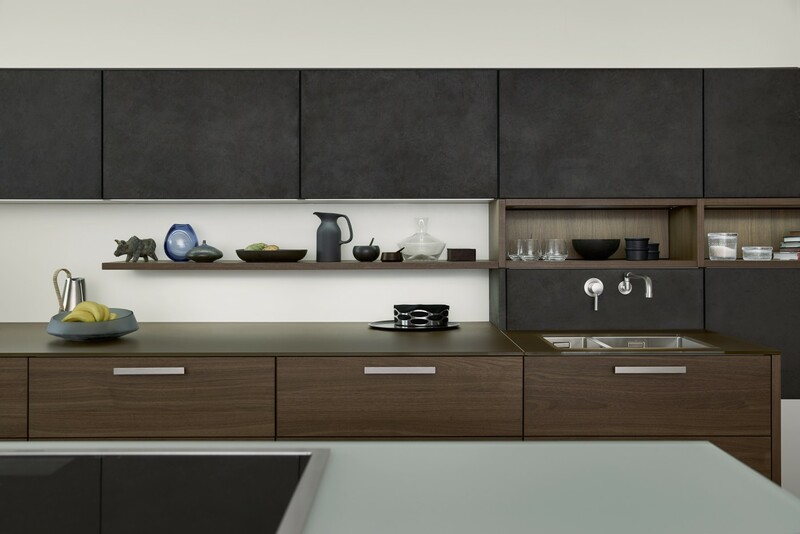 When it is combined with top-quality real wood it brings a sumptuous look to a kitchen which can seem perfectly with living rooms and dining areas. 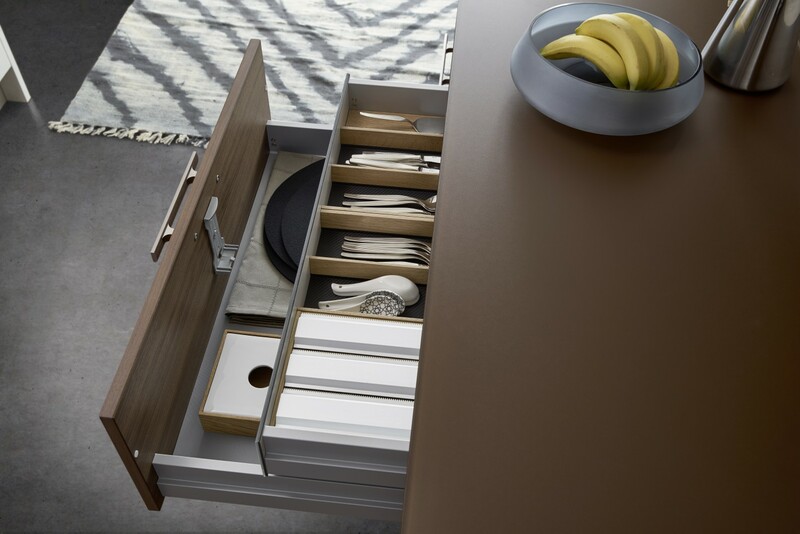 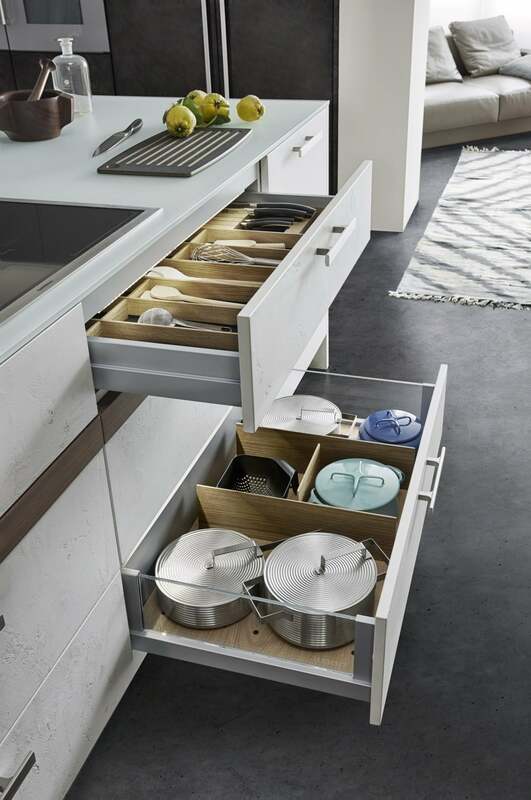 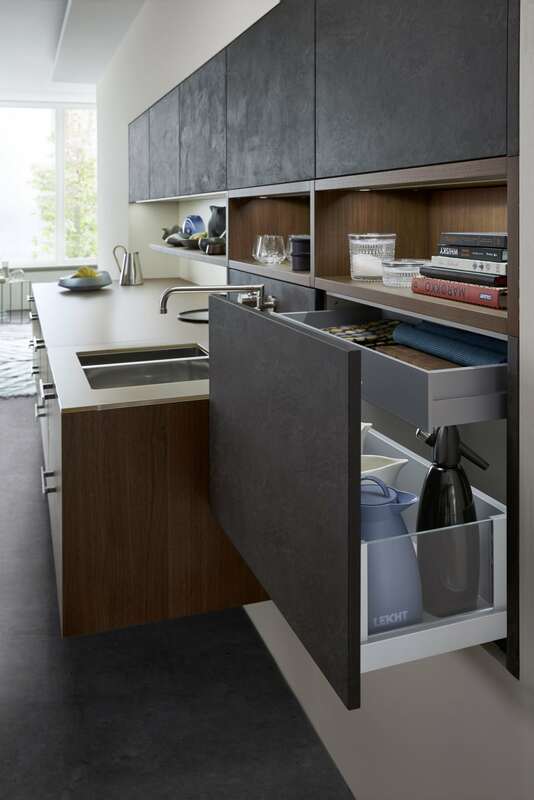 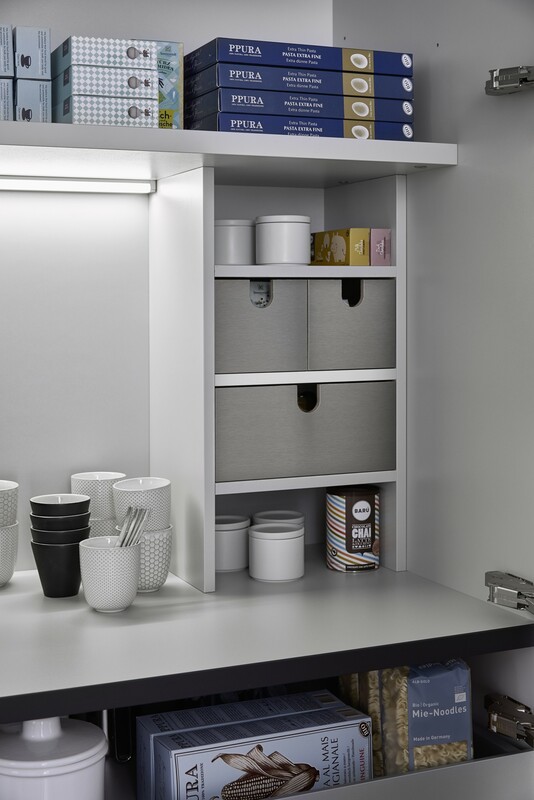 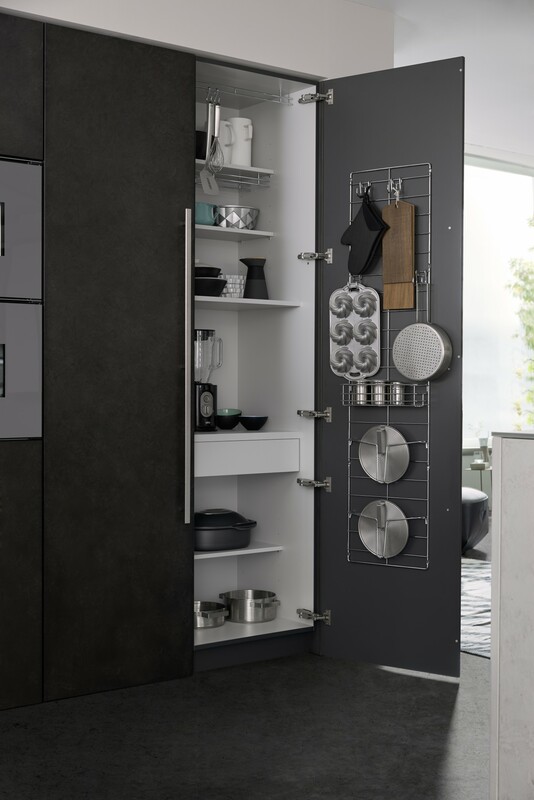 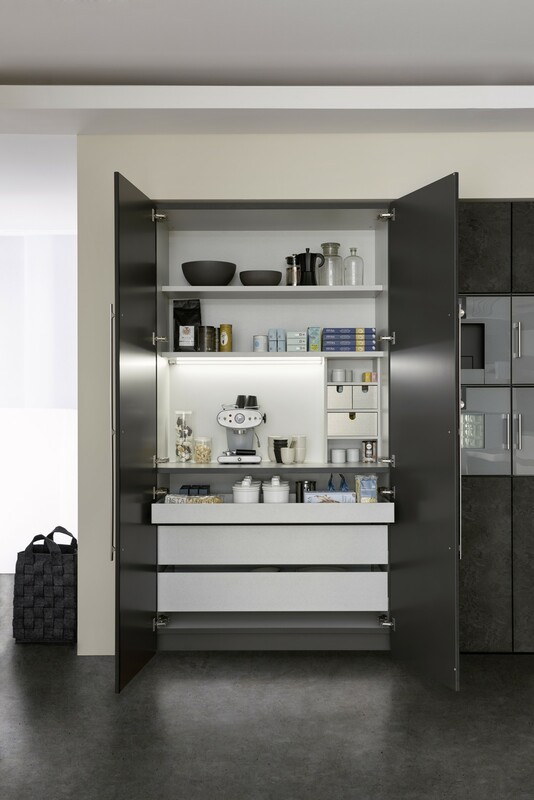 The kitchen includes many clever storage ideas and carefully planned kitchen detailing.